The ancient Irish Goddess Brigid ruled over smith craft, healing, poetry and whistling. She had an ever burning sacred fire, and the sisters of a later St. Brigid still tend that same fire along with her holy well. She was queen of heaven, her symbol, the holy dove. 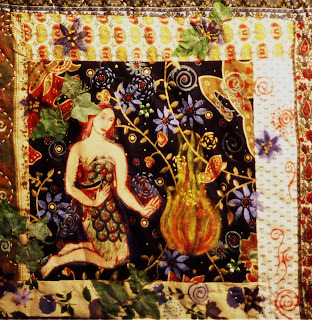 This illustration is painted and embroidered fabric. 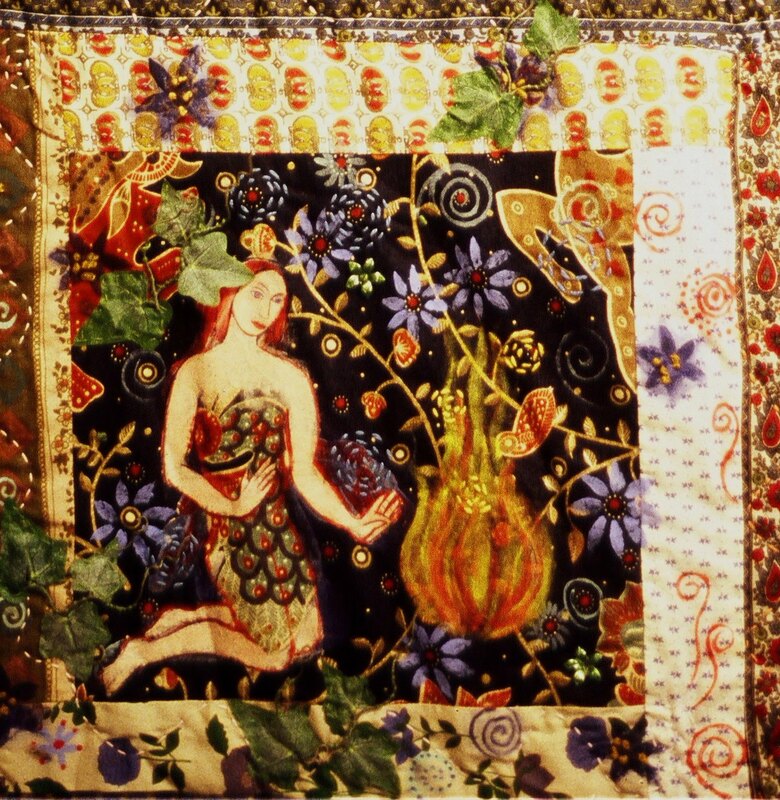 This is a beautiful quilt, how did you get into learning to do something like this?